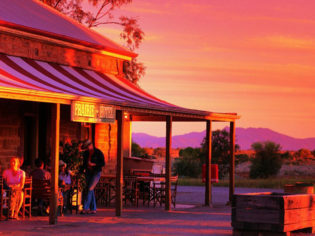 The Prairie Hotel remains Australia’s most awarded Outback Hotel. 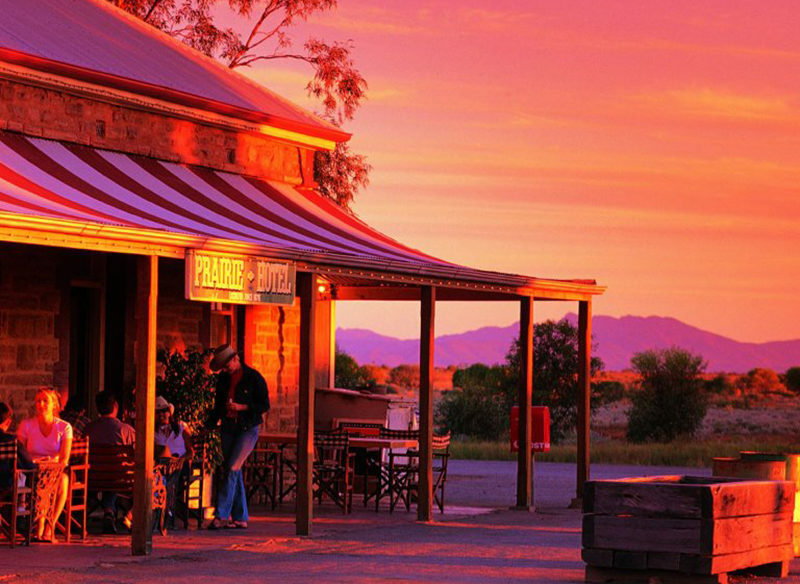 Owned and run by local station owners Jane and Ross Fargher since 1990, it is where the Outback meets the Flinders Ranges, in Parachilna, permanent population 2! The hospitality extended to guests by the Fargher family and their team is legendary. See the extraordinary Outback and Flinders Ranges as they are seldom seen, from above, with a local. Take a bird’s eye view of the landforms and waterways, appreciate the colours, vastness, vegetation, and wildlife…it is magical! Check www.fargherair.com.au for tour suggestions in the Ranges, to Lake Eyre, and beyond. All flights depart from the front door of The Prairie! Creative spins on country fare, incorporating native ingredients, and a seasonally adjusted menu keep the Prairie on foodies’ radar. Check out feral and non-feral options at www.prairiehotel.com.au Several native flavour sensations you enjoy on your plate are packaged under the Prairie’s ‘The Flinders Range’ for visitors to take home. Another HUGE hit, is the specially brewed ‘Fargher Lager’!